I decided that his thoughts and comments needed to be shared with the world. Thus the @OliverBarkBark project was born. 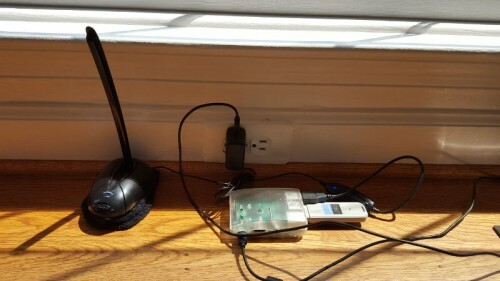 By connecting a Rasberry Pi, a wifi dongle, and a microphone, I was able to make a system that automatically detected, filtered, and published each and every one of Oliver’s deafening vocalizations. Henry has built a system around a Raspberry Pi that listens out for sounds over a certain volume, and triggers a recording when that constraint is met. Oliver barking is by far the loudest thing within several miles, so the volume threshold should be sufficient. However, the recordings are still triggered occasionally by unwanted junk. To guard against this, I needed to perform a second step to filter the barks from the junk. I took a machine learning approach to filter out the barks. I built a model using the pyAudioAnalysis library and around a day’s worth of barks (about 20). I then set up a bash script to run every ten minutes, classify each recorded sound, and forward the barks on to the next step. 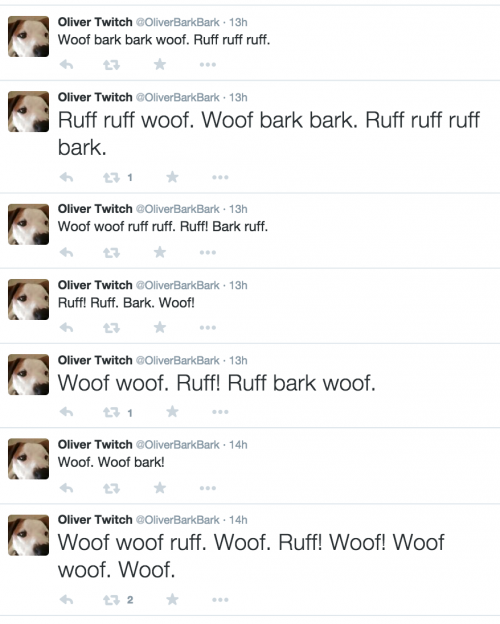 The output is forwarded to the Twitter API, where they’re published by an account called @OliverBarkBark. Right now, a random string of barks, woofs, howls, and ruffs are published, but Henry is looking at adding some more sophistication by designing a dog-to-text translator which will say “bark” when Oliver barks, “ruff” when Oliver ruffs, and “woof”…you get the idea. 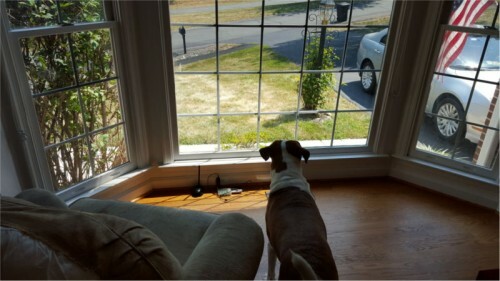 All the code you’ll need to replicate the scheme in your own house (you’ll need a dog first) is available on Henry’s GitHub at https://github.com/HenryWConklin/barkdetect. Thanks Henry, and please give Oliver a biscuit for us. Maybe just needs a picture of the postie to accompany the tweets. I actually did a barking analysis with a PC camera because my neighbor was bothered by my dog barking everyday around 3-4 pm. Confirmed that the dog was barking at something outside (instead of while he was hungry) and had to hang a curtain to block his view to stop the barking so my neighbor can work from home in peace. At last! A useful application for twitter. Aruff roof! Woof-woof arf woof… …warroof, Mêlée Island™! …a-roof wuf: …LeChuck! Grrrrrrr!!!!!! Worf woof woof ruff-ruff… Wor-roof wuf? Ruff arf-arf, bow-ruff… …Governor Marley! A-OOOOOOO! A-OOOOOOO!